When you do not want to adult, be a Unicorn! 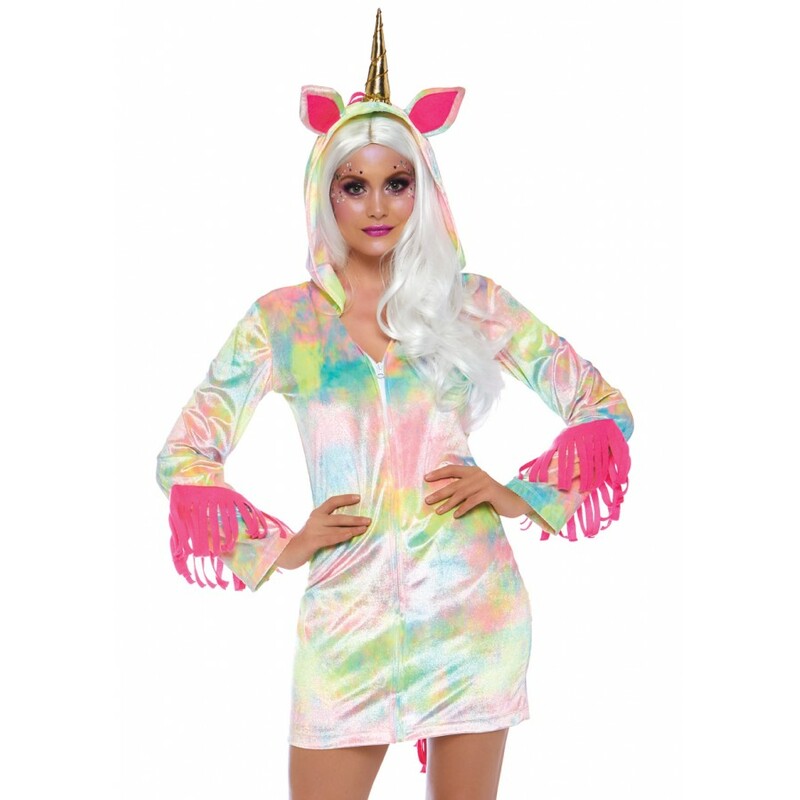 Comfortable, easy wear Unicorn costume is perfect for a Friday night cosplay or Halloween. Plus sizes too! 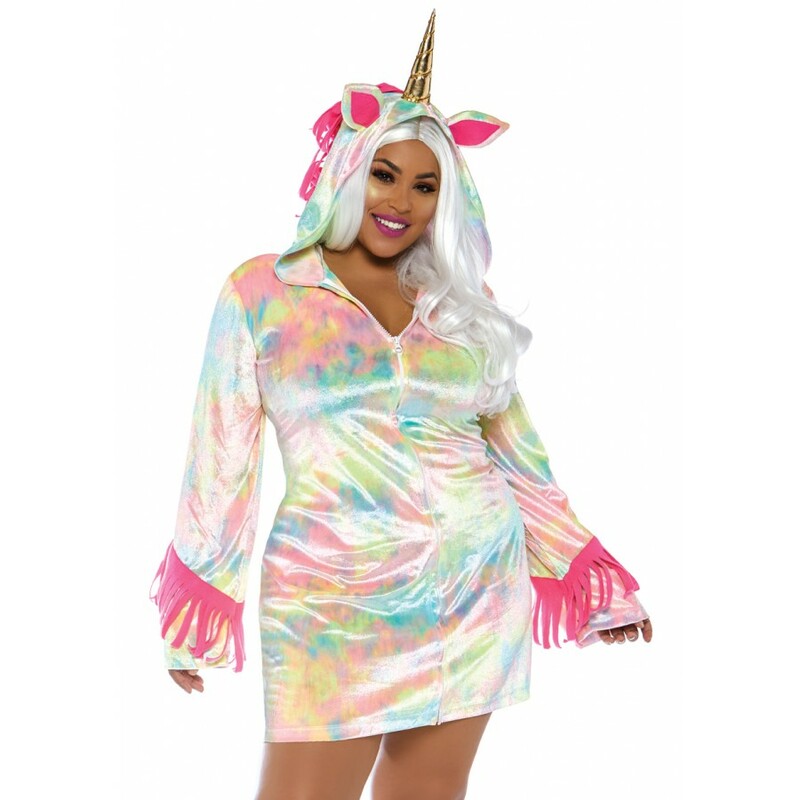 I love easy to wear costumes like this Enchanted Unicorn when I want to party or hang out at an anime convention on Sunday or Friday night as a comfortable cosplay costume. It is also sweet for Halloween to walk with your little ones or enjoy a party without a lot of fuss. Slip it on over jeans or leggings for an even more casual costume. Multiple colors shimmer on this white velvet zipper front dress with attached tail and fringed cuffs. The magical gold horn is attached to the hood. Item Number: LA-c86724-X | Approximate Size (Inches): 10.00 wide x 2.00 deep x 14.00 high | Approximate Shipping Weight: 2.00 lbs.